Air Conditioner Replacement for Your Existing Home- Armchair Builder :: Blog :: Build, renovate, & repair your own home. Save money as an owner builder. I recently had a family member ask me for any insight I might be able to give for an air conditioner replacement for an existing home. As I was typing up the list of things I would look into as a builder, I realized some of you might be looking for the same information. So here are some builder tips for getting bids on your air conditioner replacement. This is a big one. In the old days, they just sized the air conditioner based on square footage and type of home (2 story, ranch..etc.). Now we know it is very important to do a detailed calculation of windows (sizes and locations), insulation types, house orientation, climate…etc. Ask the HVAC companies to do a detailed Manual J Calculation or equivalent for sizing instead of going by the existing unit size. This really effects comfort levels, efficiency, cost…etc. 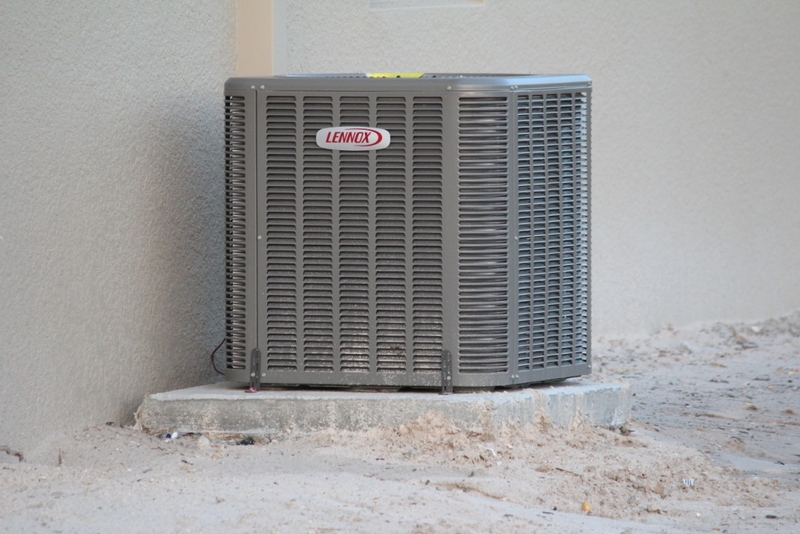 Keep in mind, bigger is not always better when it comes to air conditioning units. As with anything else you buy for your home, it’s important to understand the warranty coverage. Ask if the parts and labor are both covered and for how long? Another important item to distinguish is the manufacturer warranty versus the installer warranty. Most likely you will be purchasing from a smaller service company that installs the units. Check to make sure they have been certified by the manufacturer. If not, there may be some finger pointing if problems happen down the road. Meaning, the manufacturer might say the problem is due to poor installation and the heating and cooling company may blame the product. This is not a good situation to be in. When you’re bidding out a project, it’s important to get all the information you can about the products used. For an air conditioner replacement, you will want to know efficiency ratings, manufacturer, model number and size. Better yet, pick out the unit you like before bidding out your air conditioner replacement and include it in your bid sheets. Essentially you are saying, this is what I want you to price out. Remember to include the number of units you need. Some homes have multiple zones for heating and cooling which are served by more than one air conditioning unit. What is required to replace the unit? Is the existing electrical OK? Do the line sets need to be replaced inside the home? How about the furnace and coil there? You need more information than just, “we will replace the air conditioner unit”. Do you currently have a concrete pad the A/C unit sits on or do they propose to hang the new one off the foundation? If you have the opportunity, have them hang the air conditioner off the foundation. This gets the unit up out of the snow and keeps it level. As always, get a minimum of three bids and compare them carefully. Maybe check Yelp and the BBB for possible complaints. Do you have any suggestions that would help with an air conditioner replacement? Let us know about it at info@armchairbuilder.com.